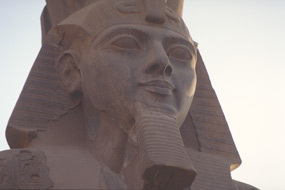 Luxor was also called the "city of a hundred gates". Just a little village during the Memphis era, it was the spot where the god of war Montu was worshipped. Its importance started to increase appreciably from the 10th dynasty onwards for both political and geographical reasons, until finally it became the capital of Egypt in the New kingdom. The god Amun, part of the triad, which also included Mut and Khonsu, was worshipped here with great pomp. 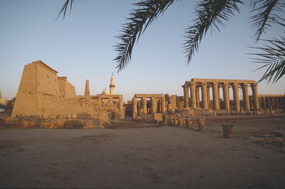 The temple was dedicated to Amun-Ra, whose marriage to Mut was celebrated annually, when the sacred procession moved by boat from the temple of Karnak to the temple of Luxor, which was built by the two Pharaohs Amenhotep III and Ramses II placed in the middle of the city overlooking the Nile. The temple axis was bent, in order to build a straight Sphinx-Avenue to the Karnak Temple. A highlight of the museum is the reconstruction of a wall, 18 metres in length, from the temple of Akhenaton built in Thebes. The wall consisting of hundreds of small scenes, depicts among other things, the Pharaoh and Queen Nefertiti worshipping the sun. 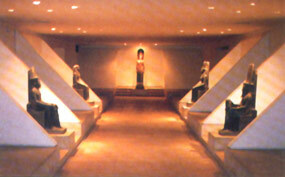 Statues and portraits, which were found underneath the Luxor temple some years ago, can also be visited. 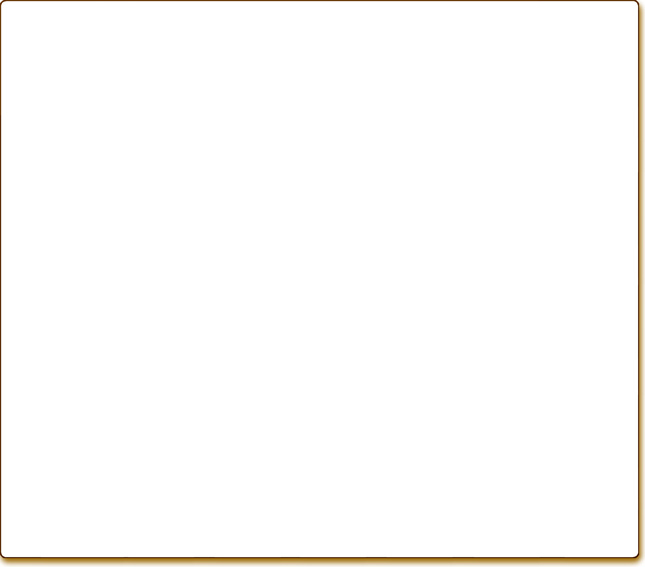 For a better understanding and overview, museum guides are obtainable in several languages. Every victory and triumph was celebrated by the construction of a new and grandoise temple in his honour. 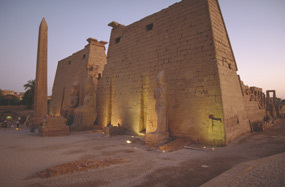 The Karnak Temple was extended and embellished during the reign of the most important Pharaohs over several centuries. Today, the passed wealth of the city can still be evidenced. 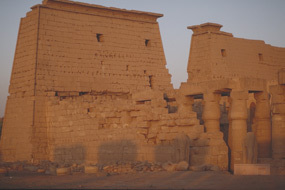 Opposite of the temples at the east bank, which served for the reverenation of the gods, are placed the tombs of the valleys of the kings and queens, the tombs of the nobles and many mortuary temples on the west bank of the Nile. Originally, six huge statues of Ramses II were placed in front of the first pylon, of which three were preserved until today. In front of the temple a red granite obelisk can be seen. The secondone was placed on the Place de la Concorde in Paris in 1836. The museum, situated between the Temples of Luxor and Karnak, houses among others, relics from the time of Akhenaton (Amarna Period), the only king who worshipped only one god and who transferred the capital from Thebes to Tell-el-Amarna. 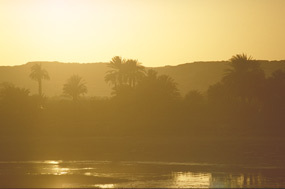 The easiest way: Daily flights, trains and buses from Cairo. The west bank can be reached either by car or by ferry operating several times a day.